The sun is shining, the air is warm, and green things are growing—fast! June is National Fruit & Vegetable month, and Sojourn wanted to get in on the celebration of summer and its delicious flavors! Earlier this month, Sojourners got their hands dirty and planted at the GROW community garden in Mound. Located at Bethel United Methodist Church, the 9,000 square foot space is full of residents’ plots and a large “Giving Garden” in which the yummy proceeds are donated to local people in need. 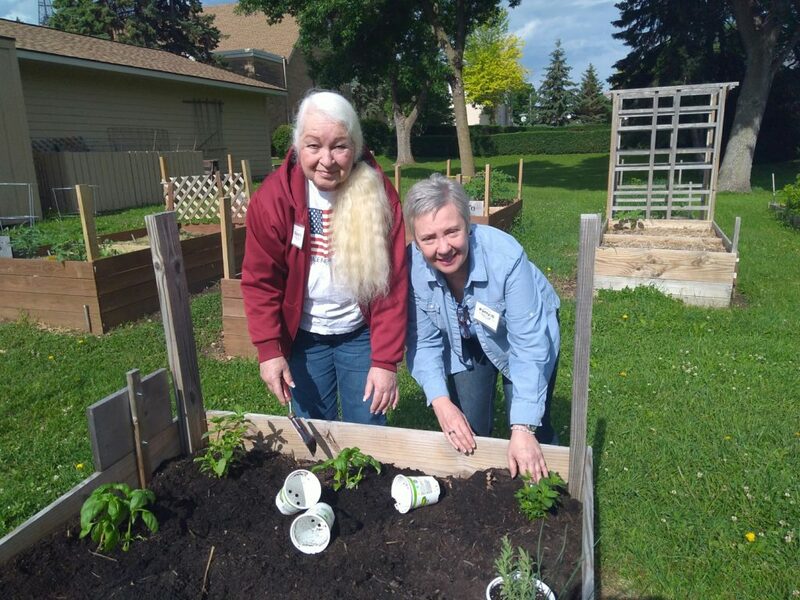 You can read more about the Westonka GROW Garden in the Laker Pioneer here. Apart from the GROW garden space, Sojourn also has an indoor shelf for pots of herbs and other small plants. They have special sunlight lamps, so there is freshness to sprinkle on meals all year round! Getting more fruits and vegetables in your diet is always a good thing, no matter how many you already eat! Most Americans consume far less than the recommended 2 cups of fruit and 2.5 of vegetables per day. These goodies are bursting with vitamins, minerals, antioxidants, fiber, and more goodness to help bodies stay healthy and active. Yes, many of us already know this, but it can be hard to implement change in our usual diets. Take advantage of the summer bounty and challenge yourself to eat more fruits and veggies! Wondering how to get involved with the freshness of summer in Minnesota? Look around your neighborhood! See if your city has a community garden, like Mound does. Many towns also have farmers markets on certain days of the week. Grocery stores are also getting in on local produce, getting fresh, in-season produce from nearby farmers. No matter what, you can always look into planting a plot or pot of your own! For more information and some colorful fruit and veggie posters, visit the American Heart Association here. Happy eating!